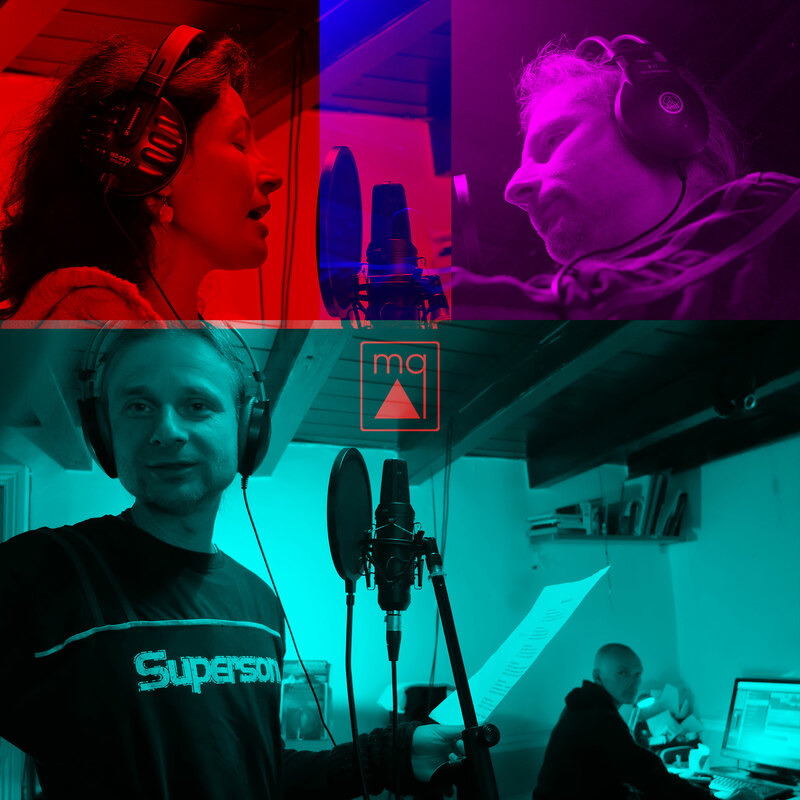 Dmitry’s wife, Carol, joins MetaQuorum as a second vocalist on the new track Migration. 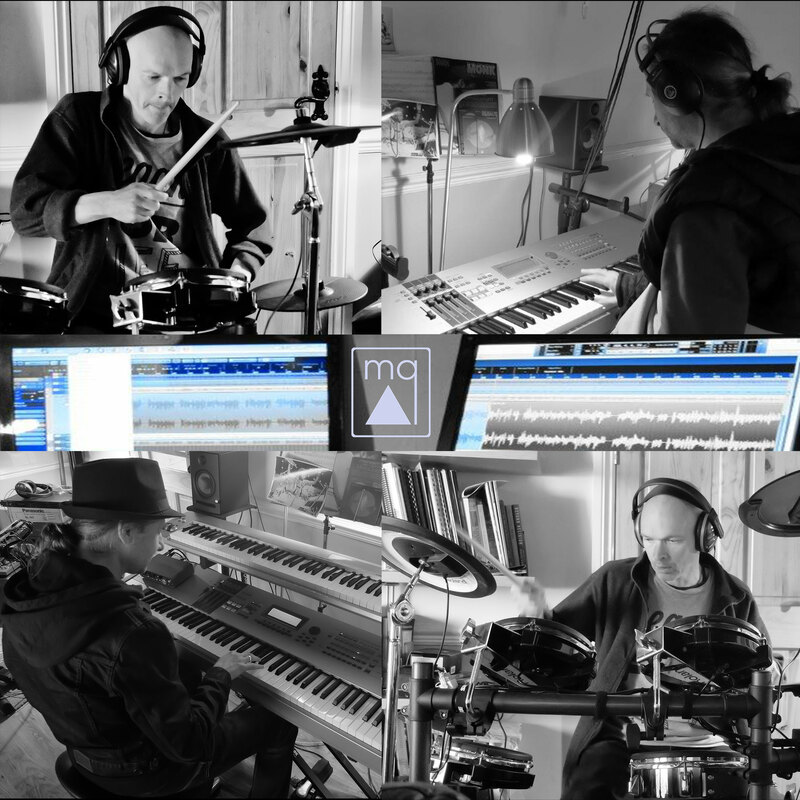 Swallows’ Riff has joined MetaQuorum tracks District Line and North Sea Fret on Croydon Radio! Catch it there, on air all month! 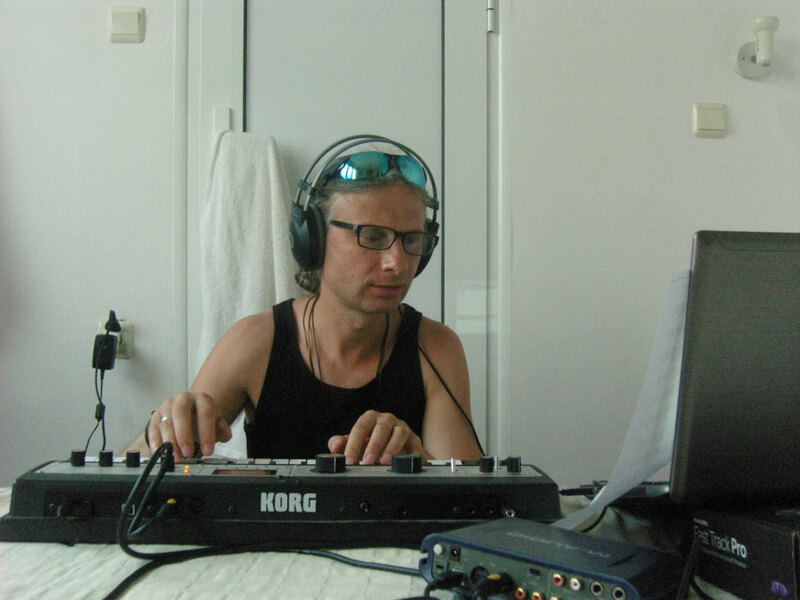 And here are some more behind-the-scenes photos of Dmitry recording the first draft of Swallows’ Riff in a hotel room in Byala, Bulgaria – amazing what you can do with a micro-Korg keyboard and a laptop, providing you have the skill and inspiration! Recording the first draft of Swallows’ Riff in a hotel room, Byala, Bulgaria, 2013. 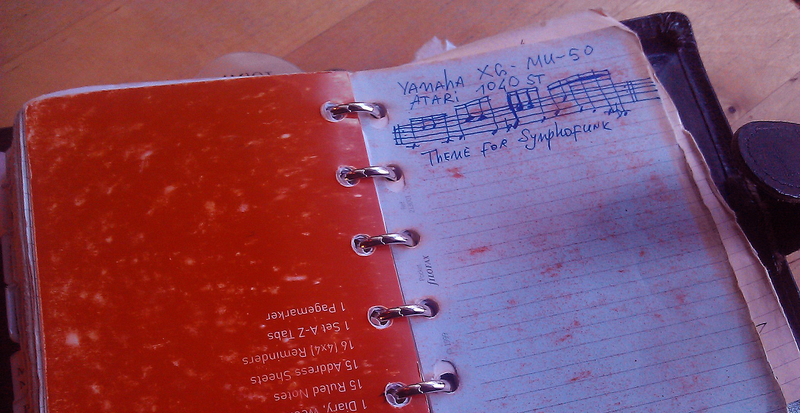 The earlier piano/synth theme scribbled in a note book, later incorporated in Swallows’ Riff arrangement.